Let me start off by saying that the purpose of this message is not meant in any way to insult you as a researcher or as a person in general. The purpose of this message is meant to simply inform you of errors that you have made in your 9/11 research, and my sincere hope that you will correct such errors. This is not meant to be an argument of any kind, but merely one researcher offering advise to another researcher. That being said, the reason for this message is largely due to a post you made on your Youtube channel, in which you claimed that if any 9/11 truther could point out anything you got wrong in any of your videos, you would either remove the video or fix the mistake. I was initially shocked by this statement, as I had done essentially this with my updated "9/11 Un-debunked" series. To date, you have not responded to my videos at all. I am well aware of how popular your videos are, as many of them are featured on prominent debunker sites. In fact, your work is apparently so good that the government itself is using your videos to discredit the Truth Movement. However, as popular as your videos are, I have found many errors in them. Now, I happen to agree with many of your videos and their conclusions. For example, you have done a very correct debunking of Pentagon-no-plane theories. However, videos in which you discuss WTC collapse theories are greatly at issue. There are several dozen points I could raise here, but this would just undoubtedly lead to nothing but continuous debating back and forth. So, for this post I have simply listed the problems that I truly think are incorrect, and I feel that you should keep your word that you will fix these mistakes. But of course, if there are any points you believe that I have gotten wrong, feel free to point out where I am incorrect. For each point I will list one of your videos, a claim in that video, followed by my reasons why the claim is wrong on some level. I shall list a problematic claim as either False, Most likely false, Misleading, or possibly a combination of these three. Claim 1: The puffs of ejected dust were caused by pancaking floors. Most likely false: Debunkers such as yourself have argued for years that these ejections were caused by pancaking floors falling onto one another. But this claim is contradicted by the fact that many of these ejections were isolated below the demolition wave. The video you show from the NOVA program shows a scenario in which the floors remain intact as flat plates, thereby allowing the pressure to be built up without allowing air to escape anywhere except the windows. But this obviously would not have been the case for the floors collapsing in the Twin Towers, as they were clearly pulverized before they had reached the areas of the ejections below the collapse front. To create the ejections below and at the collapse front, the floors would need to continuously fall as flat plates, as demonstrated by the NOVA simulation. If the floors broke apart as they fell, the falling mass would allow the pressure to be released upward. NIST’s “piston theory” is clearly contradicted by this. What’s more, Dr. Crockett Grabbe has calculated that the horizontal ejection rate of the puffs is disproportional to the vertical collapse rates of the Towers, making it highly unlikely that these ejections were caused by compressed air. Physicist David Chandler has also demonstrated that some of the ejections are in fact not coming out of windows at all, but out of the steel corner columns of the Towers. I would therefore ask you to reevaluate this claim, as evidence strongly goes against it. 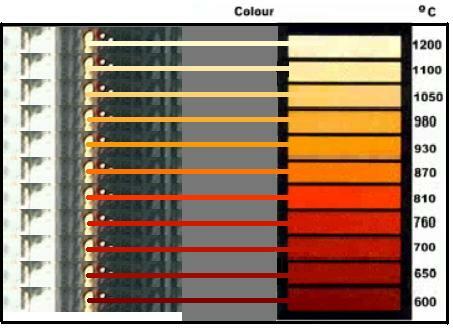 Claim 2: The squibs shooting out of the southwest corner of WTC 7 were actually window blinds. Misleading: While I do agree that the ejections at the southwest corner of WTC 7 are not squibs, your video fails to address the squibs that evidently are shooting out of Building 7 on the north face near the west side. NIST’s piston theory involved a scenario where the floors compressing air created the squibs shooting out of the Towers (see claim 1). But this explanation does not work for the squibs shooting out of the north face of Building 7, as these squibs formed at a time when the floors essentially did not move relative to one another. What’s more, these squibs are not addressed at all in NIST’s final report on Building 7. A search of their 729 page report turns up not a single mention of the word “squib” or “puff.” And the issue is also not addressed at the FAQ section for Building 7 on NIST’s website. I would therefore ask you to at least acknowledge the apparent squibs shooting out of the north face of WTC 7, as these ejections are far more visible than the false ejections you point to in your video. The official investigators have offered no explanation for the ejections, so the ejections are therefore still an unexplained phenomenon in the collapse of the building. Claim 3: Explosions were not heard at the base of the buildings or from far away. 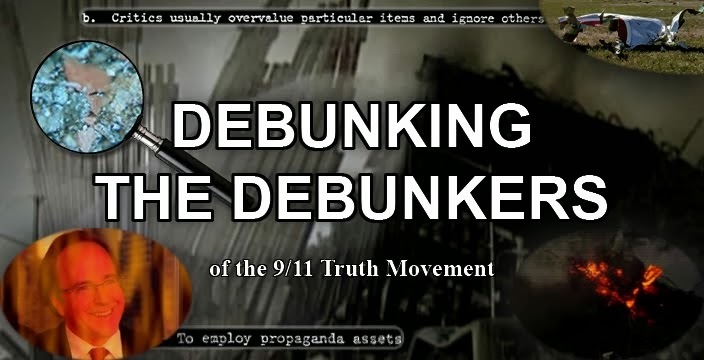 False: This issue is thoroughly addressed in the video Debunking 9/11 Debunking: Controlled Demolition IS Possible, which shows that the Towers did produce noises consistent with the roar of explosions continuously progressing down the buildings. It also shows that the noises, described as explosions by witnesses, were heard from far across the city. 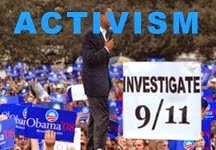 And sounds indicative of explosions have also been found in videos of WTC 1’s collapse and WTC 7’s collapse. Your claim that explosions cannot be heard in any of the videos of the WTC’s collapse is therefore wrong, and I would ask you to either rephrase this statement or remove it entirely. Claim 4: The controlled demolition of the WTC buildings would have left behind remnants of the explosives used in the debris pile. Misleading: In your video, you feature a statement made by Brent Blanchard of Protec. He has often claimed that objects such as det cord would have been found everywhere in the debris. However, he has also stated that controlled demolitions can be engineered to be radio controlled, which would eliminate the necessity of det cord. Wireless detonators have been commercially available for decades. And other parts of the explosives would also not necessarily be found, as pointed out by an explosives technician formerly from Controlled Demolition, Inc. He points out that explosives can be engineered to be self consuming, and therefore would not be found in the debris. Because of this, I would ask you to either add a disclaimer to your video, or remove this claim entirely. Claim 1: The core of the South Tower survived the collapse. Misleading: While a section of the core did survive the collapse, video evidence appears to show that the remaining core of the South Tower included neither north nor west columns. You should make this clear in your video, as it contradicts the official explanations since the South Tower initially collapsed to the east. False: Of all your videos, this is the only one I have a particular personal problem with. Although it may be implied in Loose Change (which I don’t really think it is), it is incorrect of you to imply in your video that members of the truth movement in general believe this. You are right in saying Charles Burlingame did not work in the Pentagon when Loose Change claims he did. I have nothing against that. But the claim that he was actually one of the conspirators has never been a direct claim of any prominent member of the movement, and I would ultimately ask that you either remove this video entirely, or redo it. False: The distance between the north face of WTC 1 and the south face of WTC 7 was actually about 107 meters, or 350 feet. You should correct this as it is a false statement and therefore also misleading to those who watch your video. Claim 2: The structural damage to Building 7 contributed to the collapse. False/Misleading: Although you do not specifically state in your video that the damage contributed to the collapse, you do, at the very least, imply it very strongly. But the official NIST report on the collapse of WTC 7 states that the structural damage played no role in initiating the collapse of the building. What’s more, new evidence has been presented which shows that the damage to Building 7 was not as severe as previously thought. I have no fault with you showing pictures of damage to Building 7, but you should make it clear in your video that the official explanation states that this damage did not contribute to the collapse. Otherwise, your video will mislead those do not know what the actual explanation is for Building 7’s collapse. Claim 3: The fires in Building 7 were fed by a series of diesel generators. False: Again, according to the official investigators at NIST, the diesel tanks did not play a role in the collapse. NIST states they found no evidence that the fuel lines contributed to the collapse, and that the building had only normal office fires. You need to clarify this, as it is simply not the official story for what happened to the building. Claim 4: The collapse of Truss 1 initiated the collapse of WTC 7. False: According to the NIST report, Building 7’s collapse was initiated by the failure of a girder connecting column 44 to column 79, which led to the collapse of column 79, and then the rest of the building. NIST does mention the collapse of the trusses in their report, but they do not claim that any of them failing initiated the “progressive collapse.” As you state in your video, this led to a “vertical” collapse to the roof. NIST claims it was an “east to west” progressive collapse. You should replace your current claim about the trusses with the official explanation about column 79. Most of the claims you make in this video are incorrect, but admittedly this was before the report was released. However, now that the official report has been released, you should remove this video entirely, as it will undoubtedly give people unfamiliar with 9/11 the wrong ideas about what is supposed to have caused the building to collapse. Claim 1: The “aluminum” from Flight 175 could have been heated to 1800°F. One thing that we must agree on is that the fires in the South Tower were clearly weaker than the fires in the North Tower. Also, NIST has no evidence for these kinds of temperatures in either building. The idea that the fires in WTC 2 could have reached 1800°F is extremely unlikely which, as we will see, essentially refutes the entire notion of your video. Claim 2: Aluminum glows “light orange” at 1800°F. Misleading: Although aluminum does glow light orange at 1800°F, the color of the material at the front indicates that, if it was aluminum, it was heated to temperatures higher than this. So even if this material was aluminum, it would still need to be explained what heated it to over 2000°F to get to glow that bright. You should make this clear in your video. Claim 1: The fires burned up to 1800°F. Claim 1: Controlled demolitions create bright flashes in a building. Therefore, I would ask you to either add a disclaimer to your video, or remove this claim entirely. Claim 2: The demolition waves are explained by pancaking floors. Claim 3: Cameras did not pick up any sounds of explosions. False: See Claim 3 for “9/11 Debunked: Controlled Demolition Not Possible,” and also this video. Claim 4: The South Tower’s core survived the collapse. 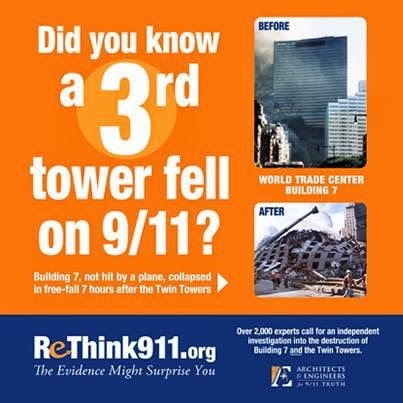 Misleading: See Claim 1 for “9/11 Debunked: World Trade Center - No Free-Fall Speed. Claim 5: The initial antenna drop of WTC 1 as seen from the north was actually an optical illusion caused by the rotation of the antenna to the south. Most likely false: This video features a more westward shot of the North Tower’s collapse at minute 6:13. The antenna did rotate south seconds later, but the initial motion was almost entirely vertical. You should clarify this in your video. Claim 6: Building 7’s collapse started with the failure of its three large trusses. Claim 7: Explosives would have caused the buildings to collapse at free-fall speed. Most likely false/Misleading: In fact, it has been a misconception by both sides of the argument that controlled demolitions cause a building collapse at the rate of free-fall. Explosives rarely if ever cause a building to collapse at free-fall acceleration. The question that should really be asked is, “did the buildings fall in time intervals consistent with buildings destroyed with explosives?” And it turns out that they did. You should either add a disclaimer to your video or remove this statement entirely. Claim 8: Controlled demolitions cause a building to collapse into its own footprint. Misleading: Although demolitions usually do this, it is not strictly true that it always happens, as this video shows at minute 8:32. As for Building 7, the fact that it fell somewhat outside its footprint may have been caused by the simple fact that it was a particularly large building. No demolition company had ever demolished a building the size of WTC 7 before, so who’s to say how compact the debris pile would be if the building were brought down in a classic demolition fashion? The buildings it damaged were quite close to it. As this video shows at minute 7:42, buildings brought down by classic controlled demolition methods can fall outside their footprint. But the fact is, the debris from WTC 7 was almost entirely within the footprint of the previously standing building. Claim 1: The elements noted by Dr. Jones were found in common materials in the WTC. Misleading: Although the elements you list were abundant at the WTC, what you fail to note is that these elements were found in the iron-rich microspheres found in the dust, not the dust itself. The spheres show that the chemicals were formed due to melting and/or vaporization, which is due to surface tension. This indicates that the various chemicals found in the spheres were melted at the same time, forming spheres. The spheres found had the chemical signature of FE, AL, K, SI, and various additives and variations of thermate. Different aluminothermic reactions have different properties; some are faster reacting, like sulfur which reduces the melting point of steel. The idea of the spheres forming from an office fire is virtually impossible. Iron cannot melt in office fires and the melting points of these metals are so different that there would be a sizeable time delay from heating WTC common materials. Then they also have to cool together at the same time to form a sphere. Thermate, however, provides the solution to this question because the reaction is very fast. No other mechanism is known to provide spheres such as these. You should therefore clarify your statements about the elements that Dr. Jones has found. Claim 2: The elements were not found in their correct quantities. Misleading: In this case you are confusing Steven Jones arbitrary usage of the word thermate with military grade Thermate-TH3, which is 68.7% thermite, 29.0% barium nitrate, 2.0% sulfur. There are a wide variety of different types of thermite, thermate, and other aluminothermic reactions. So your figure of sulfur making up 2% of thermate is based on only one specific type of thermate. Also, it should be noted that the sulfur likely did not come the gypsum wallboard, as demonstrated here. You should correct this statement or add a disclaimer. Claim 3: Barium nitrate and aluminum oxide needed to be found but weren’t. False: As I have already demonstrated, barium nitrate does not have to be found. And as for the aluminum oxide, oxides of aluminum are common in the environment, and probably a major form of the aluminum found in the WTC dust. Because the thermite reaction generates aluminum oxide as an aerosol, it tends to disperse rather than clumping with the iron-rich initially-liquid residues. Note that the composition of residues of known thermites is a good match for the ignition residues that Jones, et. al. examined from the red-gray chips. So therefore, aluminum oxide also does not need to be found. You should correct these claims in your video. Update: As it turns out, the USGS apparently did report finding traces of aluminum oxide in the WTC dust. Therefore, the claim that aluminum oxide was not present in the dust should be removed entirely from your video. Claim 1: The molten metal would have solidified and would not have still been molten 6 weeks later. 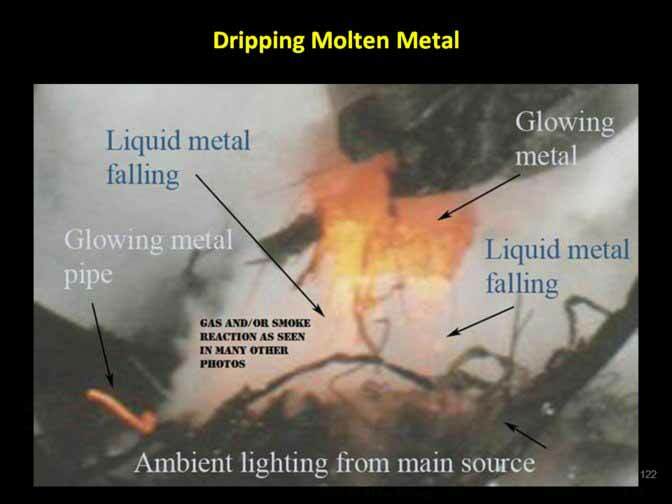 Misleading: The presence of the pools of molten metal after a thermate reaction would seem to indicate a continuous chemical reaction occurring in the pile, as documented by the peer-reviewed paper Environmental Anomalies at the World Trade Center: Evidence for Energetic Material. You should clarify this in your video. Claim 2: Temperatures of up to 1342°F were recorded in the debris piles. False: Actually, the NASA thermal images show that temperatures of about 1377°F were recorded in the debris. But there are other studies which indicate even higher temperatures than this. According to the R. J. Lee report, lead had apparently become hot enough to volatilize (boil) and vaporize. Lead does not boil and vaporize until it reaches temperatures of 1749°C [3180°F]. As the report indicates, therefore, the temperatures must have been not merely high, but extremely high. Other evidence also indicates the temperatures were far hotter than anything normal fires could cause. You should address these issues in your video or delete the claim entirely. Claim 3: The initial fires were burning at 1800°F. Claim 4: Pictures show glowing metal not flowing and is therefore not molten. False: Close-ups of the crane shot show that molten metal is flowing off. Claim 5: The pools of molten metal seen by the first responders and clean-up workers were pools of molten aluminum. Most likely false: This argument is contradicted by the fact that pools of molten metal were also found in the debris of Building 7 as well. Building 7 was not hit by a plane, and it was also not clad in aluminum like the Towers were. 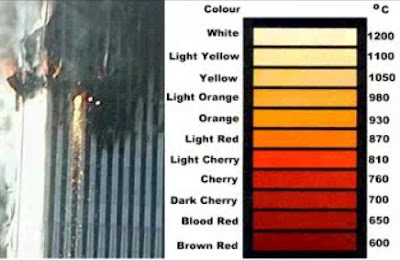 But what’s more, the fact that the molten metal remained reddish-orange six weeks after the attacks indicates that the metal had fairly low heat conductivity and relatively large heat capacity. Therefore, it is more likely that the metal was steel or iron rather than aluminum. You should remove this claim and correct it in your video. Claim 1: The planes that hit the Towers were travelling at 490 and 590 miles per hour. Misleading: The speeds you claim the planes were going at seem to come from the FEMA report. However, the NIST report states that the planes were travelling closer to 440 and 540 miles per hour. You should reevaluate this claim and fix it. Claim 2: Building 7 was heavily damaged by falling debris. Claim 3: There are many examples of steel-framed buildings collapsing from fires. Misleading: As this video shows, your comparison of the WTC buildings with smaller steel structures is highly misleading. All I have ever seen debunkers compare the WTC buildings to are smaller steel structures that have collapsed from fire, but never other skyscrapers that have not collapsed from fire. You do feature the Windsor Tower, but ultimately its partial collapse supports our side of the argument. Others have attempted to show that other skyscraper fires are not comparable to the fires in the WTC. I have shown these claims to be incorrect and unfounded. Unless you can make better arguments, I would recommend removing the entire video, as it is highly misleading. Claim 1: The Twin Towers were designed to withstand the impact of a Boeing 707 travelling at 180 mph, being also low on fuel. Claim 2: The planes were travelling at 490 and 590 mph. Claim 3: Because the wingspan of a 767 is greater than that of a 707, a 767 would have severed more columns. Most likely false/Misleading: Admittedly, the wings of a 767 are longer. However, there is another difference between the wings of these two planes, which are the engines attached to them. A 707 has four engines, while a 767 only has two. The engines of an airplane are undoubtedly the most solid part of the plane. The wings themselves are merely made of aluminum, and once they impacted the perimeter columns, it would have been more difficult to severe the thicker core columns. The planes’ engines would do quite a bit more damage than the wings once they started impacting core columns. Even if the wingspan of a 767 is larger than a 707, I think we can agree that a plane with four steel and titanium engines will do more damage than a plane with only two. Claim 4: Fires were not taken into consideration when the Towers were built. Most likely false: To back up this claim, you provide a quote from Leslie Robertson, who you incorrectly state was the chief structural engineer for the WTC. In fact, John Skilling is more likely to have been the lead engineer for the Towers. In a 1993 Seattle Times article, Skilling was described as the head structural engineer. Robertson was not mentioned there, nor in an article in the Engineering News-Record that discussed the design in 1964. In City in the Sky, Robertson is called the “rising young engineer with Skilling's firm” (p. 159). In Men of Steel, Robertson is referred to during the design phase as “one of the up-and-coming engineers on [Skilling’s] staff,” Skilling’s “young associate,” whom Skilling “assigned… to help him prepare a proposal” to the Port Authority’s board. Skilling’s firm was named Worthington, Skilling, Helle, and Jackson. Clearly, Skilling was a senior partner at the firm and Robertson was his subordinate. Therefore, the claim that Robertson was the chief engineer for the Towers is almost certainly false. John Skilling, however, stated that the buildings could have survived severe fires from a plane crash. You should address these facts and correct your statements about the WTC design parameters and Leslie Robertson’s position in the construction of the buildings. Claim 1: Roughly 7000 gallons of fuel remained in each of the Towers after the initial impacts. “Tables 5-3 and 5-4 present the predicted fuel distributions from the impact analysis. Of the total amount of fuel distributed to each floor, only 40 percent was used in the simulations. The reasoning behind this estimate followed that of the Federal Emergency Management Agency (FEMA) study (McAllister 2002). It has been estimated by various forms of analysis (Zalosh 1995; Baum and Rehm 2002) that roughly 20 percent of the jet fuel was consumed in the fireballs that were observed outside of the buildings within seconds of impact. The authors of the FEMA report suggested that half of the fuel not consumed in the fireballs could have flowed away, presumably down the elevator shafts and stairwells based on eyewitness accounts. Some additional discussion of the fireballs may be found in NIST NCSTAR 1-5A. So, ultimately NIST assumes that half of the fuel in each of the buildings flowed away from the impact points, and therefore did not contribute to the fires that supposedly caused the buildings to collapse. That leaves 3474 gallons of fuel contributing to the fires in WTC 1 and 2966 gallons of fuel contributing to the fires in WTC 2. Of course, even considering that all the fuel NIST claims remained in the buildings stayed at the impact points, the amount of fuel in either Tower would have fit into an above ground swimming pool, hardly a large amount in ratio to the rest of the buildings. You should clarify these facts in your video and fix your statements. Claim 2: Photographs show that Building 7 was almost totally engulfed in fire. In light of these errors, I would strongly encourage you to keep your promise and fix them. As the anniversary of 9/11 approaches, it would be best of you to keep your other promise that you will not allow the history of 9/11 to be "distorted or rewritten." 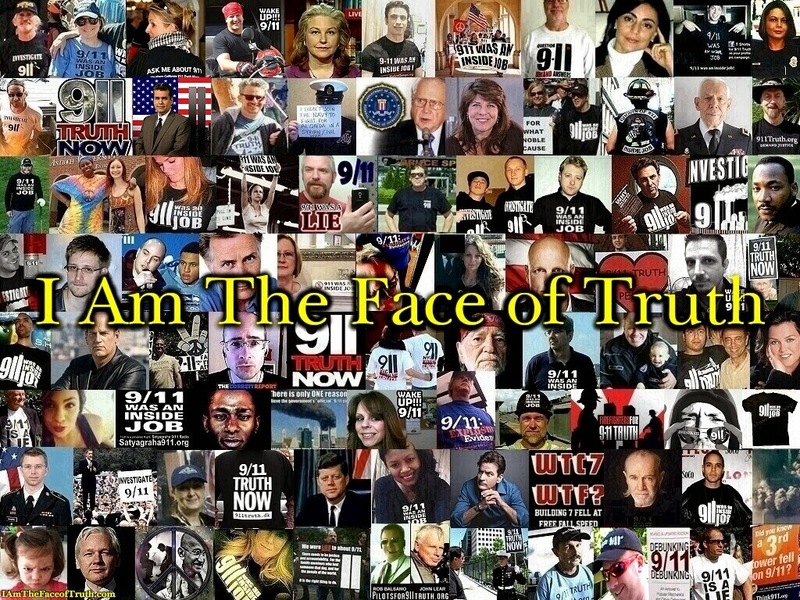 Real progress has been made in the name of 9/11 truth, and it would be regrettable if the errors in your videos misrepresented this progress.